Specialist and non specialist local cleaning company. Many aspects of cleaning and waste disposal undertaken. Installation & Maintenance of Intruder alarms, Fire alarms, CCTV & Door entry systems. B & R Heating Ltd is a family run Plumbing & Heating Business which specialises in Gas, Oil & LPG to home owners, landlords, developers and local authorities across the southwest. Brian Pedrick, Domestic & Commercial EPC Assessor, Legionella and Gas Safety Certificates. Building and construction specialist – multi skilled tradesman. Based in Bournemouth, covering Dorset and Hampshire. 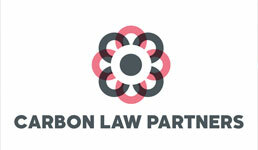 Carbon Law Partners offer a complete legal advice service to landlords in the South West. We have dedicated experts in landlord and tenant law and offer competitive fixed prices. We understand that when a domestic appliance lets you down, you need it up and running again – and fast. We are independent, responsive and professional, and all our engineers are fully qualified and employed exclusively by us, enabling us to deliver consistently high levels of service. And we always aim to do this within a 24-hour period if humanly possible. We offer in store repairs at our premises in Plymouth, along with a call-out service for your convenience. General property repairs including; painting interior & exterior, brickwork, stonework, fascias & guttering, patios & fencing. 30 years experience. Reliable, friendly and professional service. 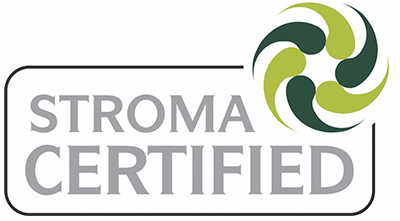 Professional Domestic and Commercial Cleaners We are a local family run business and we take pride in our high standards. Working with local homeowners and businesses we provide our clients with a trustworthy, dependable and efficient service with friendly courteous staff. We offer a professional, friendly, honest and reliable service to both domestic and commercial customers in Plymouth, Yelverton, Saltash and the surrounding areas. Protect yourself and your properties with our professional and comprehensive inventory and checkout reports. All with full description, expandable colour photographs and carried out by an experienced, qualified and insured local clerk. Flexible hours and competitively priced. Professional, detailed and accurate property reports created using professional third party software. I provide a friendly and reliable service and I am able to provide you with inventories, check outs, legionella risk assessments , mid term inspections and check ins. I cover Plymouth and the surrounding areas. Drainage Superstore offer the best range of quality above and below ground drainage online and are based in Plymouth. Gregg Latchams is committed to its support of the SWLA and assisting landlords in what can be difficult times dealing with tenants and tenancy agreements. Insulation Superstore offer a comprehensive range of insulation and products from our base in Plymouth. Heating and Plumbing Specialists - Gas Safe Registered. Experienced plumbing and heating engineers offering a professional service. Including boiler services, repairs and Landlord Gas Safety Certificates. Discounts available for SWLA members. We will support SWLA members with legal advice and representation through public access. KBG are the largest barristers Chambers in Devon & Cornwall, who cover all aspects of property law, family, civil & criminal law throughout the South West and beyond. All aspects of Property Maintenance including building and roofing repairs. Extensions, kitchen and bathroom replacement & repairs, replacement wood & UPVC patio door & window fitting, patios & driveways. Leaks & plumbing issues, garage door replacement, lock repairs & replacement. Locksmith and uPVC specialist offering lock opening, fitting & replacements, lock upgrades, Masterkey systems, double glazing and door repairs. 10% SWLA Member discount, just ask when inquiring. Plumbing, heating and gas work specialist. PCH Manufacturing offer a range of core products made in their Plymouth-based site. Their PVCu factory, joinery workshop and sign shop are able to offer a wide range of products including windows, doors, signage and much more. Supply only, or supply and install options are available. Specialising in landlord and letting agent property maintenance services. General property maintenance, Bathroom re-fits, Kitchen re-fits, Interior and exterior decorating, Tiling, Fencing, Decking, PVC maintenance, UPVC Window and Doors fitting. Areas covered; TR , PL , TQ , EX postcodes. 10% discount for SWLA members.